For many years Eastcote’s most unique treasure slumbered, the briars, weeds and vandals,[the bad fairies] slowly wove their tentacles around her until her former glory was all but obliterated. Two years ago Prince Charming, in the guise of the Friends of Eastcote House Gardens[the good fairies] started to break the spell of decay and despair. 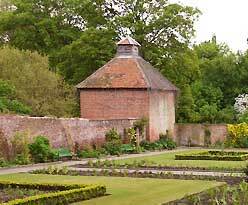 The Big Lottery fund granted the’ Friends’ £24,000 to re-plant the Walled Garden. A donation from TaylorWimpey supported the restoration of the Rockery. Hillingdon Council, remade pathways, enhanced the three entrances to the gardens, supplied more litter bins and dog bins. The ‘Friends’, chopped and cleared and dug and weeded. Then throughout April 2010 , the Herb Beds in the Walled Garden, originally planted to celebrate the Queen’s Silver Jubilee in 1977, were re-stored. The Rockery was re-planted. 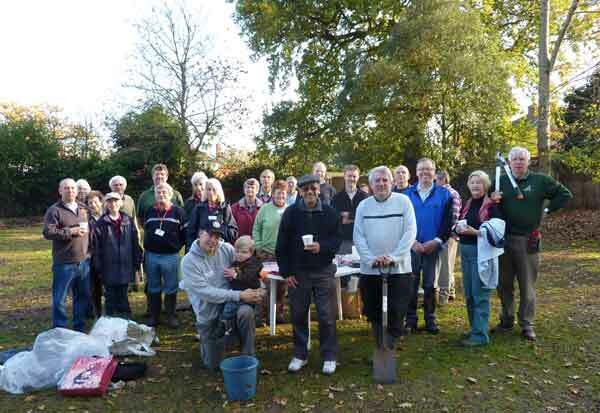 Bluebells were planted near the Pinn, in conjunction with Eastcote Horticultural Society and a gift from an anonymous donor. 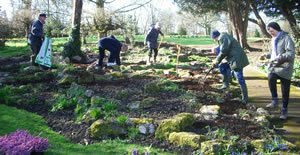 The ‘Big Plant’ when 50 volunteers placed 1813 plants in the Walled Garden, was at the end of April. Three local schools also came to help with the planting, Coteford Infants, Newnham Junior and Field End Infants. By July 17th, when the Celebration Picnic was held, and the Mayor of Hillingdon officially re-opened the Walled Garden, our Sleeping Beauty looked magnificent. The Celebration Picnic drew together many Eastcote groups, schools and local retailers it was a fantastic day.